Nothing could be better than a good, long ride through the woods. There is nothing but bright snow, frosty air, ancient trees… And, of course, animals! Despite the fact that the forest dwellers prefer not to encounter people, some of them are more curious than others. Even as more than 150 ground personnel, elephants and expert trackers and shooters are out to kill Avni, hundreds of thousands of supporters online and offline are pleading the Indian government to let her live on. The Russian president has received a variety of exotic birthday gifts during his career, including the statue of a creature that “never backs down” and a live tiger. 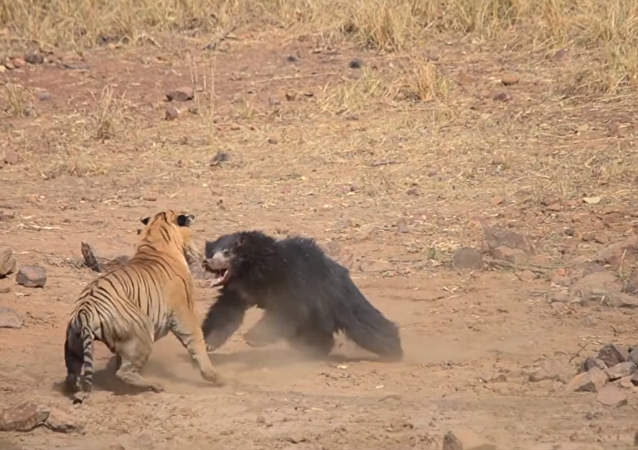 Two heroic animals chased off the predator, once again proving who man’s best friend really is. 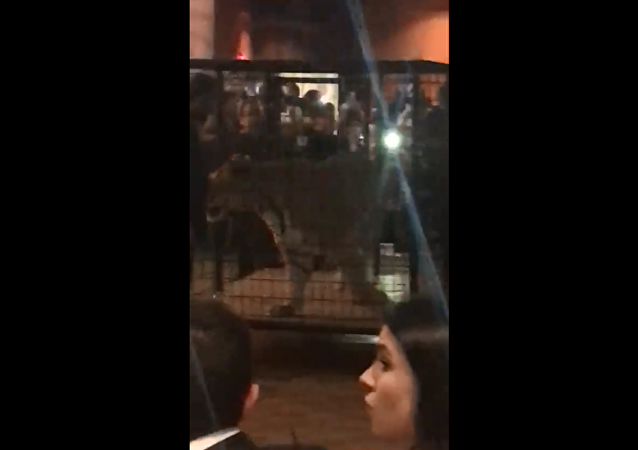 Florida's Christopher Columbus High School came under fire this weekend after students and parents discovered that decorations for the private Catholic school's jungle-themed prom included a caged tiger. Four tiger cubs - three males and a female - were born in the Crimean safari park "Taigan," the biggest one in Europe. A woman living in the Indian state of Maharashtra was released Tuesday from a local hospital just days after fighting off a tiger with a stick. A tiger on the loose is perhaps something Mexican inspectors have long got used to, be it right in the street or amid lush green neighbors’ lawns but presumably, spotting one in a mail parcel is a bit too much. 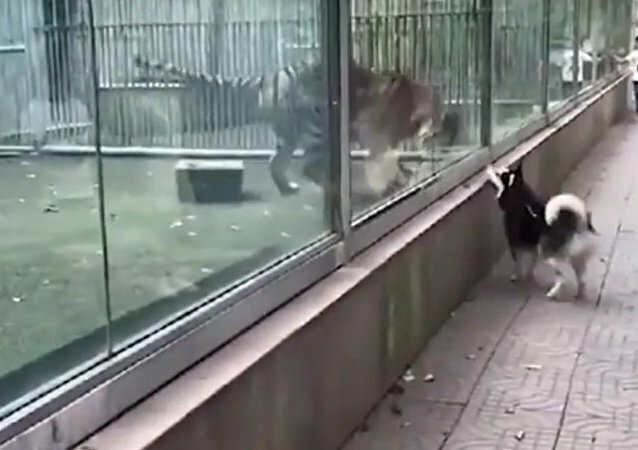 This gorgeous tiger is clearly none too happy about the impenetrable glass wall separating it from the very familiar-looking "creature" it would love to get to know better. 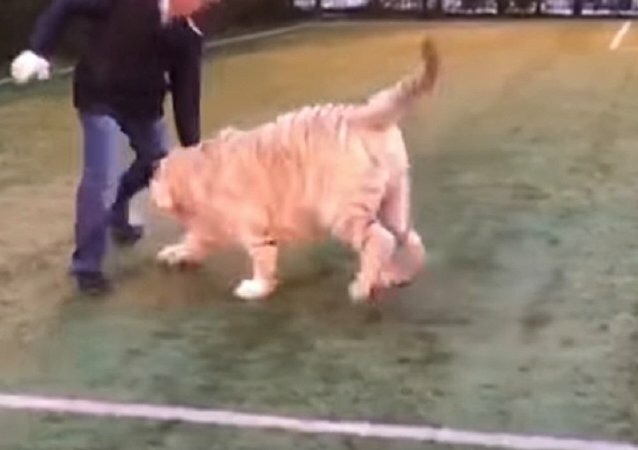 Take a look at this perfect candidate for the Russian national football team – a white tiger who is crazy in love with ball games. Most of all, this adorable feline enjoys football, but he can also play basketball and even water polo. 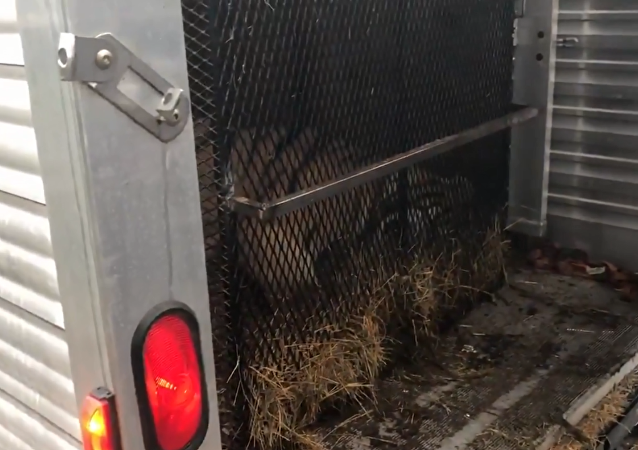 A Thai zoo has come under fire after a video posted on Facebook Monday showed a zookeeper repeatedly poking a tiger in the face in an attempt to elicit roars for tourist photos. 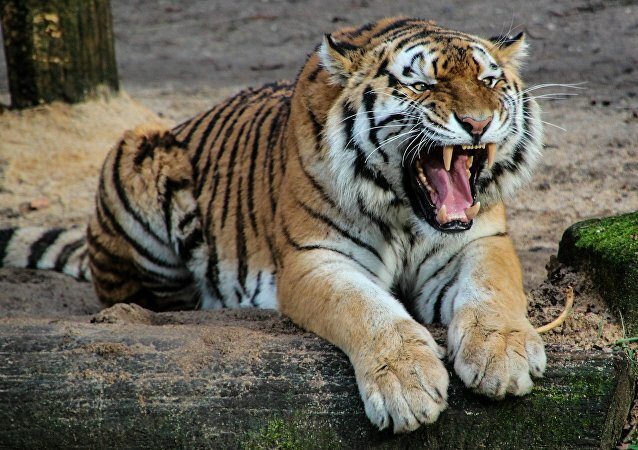 The risk of extinction of the Sumatran tiger, a subspecies of tiger native to the Indonesian island of Sumatra, is now greater than ever, as their habitat continues to be destroyed for industries like palm oil.